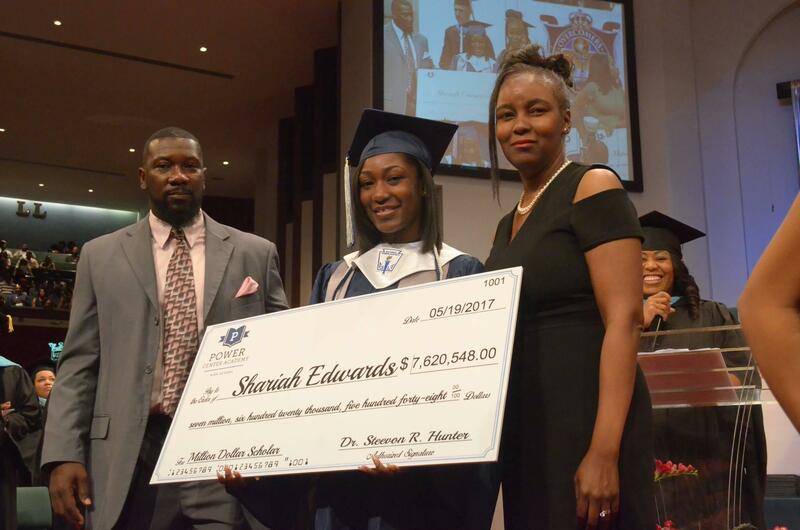 Shariah Edwards just graduated from Power Center Academy High School, a charter school in Memphis, Tennessee. Now, she's faced with a task many recent high school grads must do -- choose which college of those she was accepted to she wants to attend. But Shariah's situation is unique, in more ways than one. She was accepted to 149 colleges across the country, according to a counselor at the school. She's also been offered more than $7.6 million in scholarship money. "She has totally blown us away," said Tamara Woods-Wormley, the college counselor at Power Center Academy High School. "I gave her a list of colleges from A to Z that don't have application fees ... every day she would come into the office and ask to send transcripts here or there." Shariah, a straight-A student, never expected this outcome. She simply wanted to maximize her options for higher education and relieve the financial burden on her family. Her goal was to become a Million Dollar Scholar, a title her school uses to encourage students to apply for scholarship money -- either through merit programs or privately -- to help them go to college. If they earn at least $1 million in offers, they are presented with a symbolic check at graduation. To keep track of admissions and scholarship offers, all letters must be provided to Woods-Wormley. They are then verified and recorded in a spreadsheet, which was reviewed by CBS News. Shariah was the highest earner of the 145 students in the class of 2017, which Power Center Academy says got more than $30 million in total scholarship offers. According to Woods-Wormley, all of the schools Shariah was accepted to are four-year institutions. The schools are quite literally all over the country, from Regis University in Colorado, to Tuskegee University in Alabama, to Johnson and Wales in Rhode Island. "I didn't want to limit myself, so I did research and applied to the ones I was interested in," Shariah told CBS News. "I was amazed, because I didn't think I would get that many acceptances." Shariah says she is still narrowing down where she wants to go to college, but Tennessee State University is one of her top choices.